There is nothing that brings people together the way a barbecue can. This is the one leisure that people enjoy across the globe. It is a great pastime because the food is delicious, the smoky aroma is fantastic for calming your senses and it is the one type of leisure that you can include for just about any celebration or get-together. Barbecues are common for birthday parties, family gatherings, friend visits and are greatly enjoyed during major public holidays like the Fourth of July. But from where does this infamous leisure origin? The first ever recorded mention of the word barbecue, or rather ‘barbacoa’ was made by a Spanish explorer named Gonzalo Fernández De Oviedo y Valdé. It is however believed that Gonzalo and other Spanish people derived this word and cooking method from a Haiti tribe since the Spaniards found indigenous Haitians roasting meat over a grill as early as 1492. The Caribbean Haiti language also translates the word ‘barabicu’ as “a framework of sticks set upon posts”. The word wasn’t used as an English verb until 1661. While the origin of the word ‘barbecue’ seems to come from the Caribbean tribes it doesn’t however mean that they were the neither first nor only ones to enjoy a barbecue. Barbecuing has been enjoyed across the globe for many centuries especially when considering the fact that all meats used to be cooked over smoldering coals in prehistoric times. Asado – This is the Argentinian term for barbeque and their methods involve roasting whole slabs of meat and even whole animals in an open fire pit. Braai – South-Africans call all meats that are grilled outdoor open the fire ‘braai’ and they even have a “National Braai Day”. Lechon – The Philippines term for barbecue and it is enjoyed on all major celebrations. Gogigui – The Korean barbecue is a grease friendly diet that is served with a lot of side dishes. Mezze – Lebanon calls their barbecued meet Mezze and these roasted meats are never served without nuts. So are you wondering about the Kansas City barbecue style? 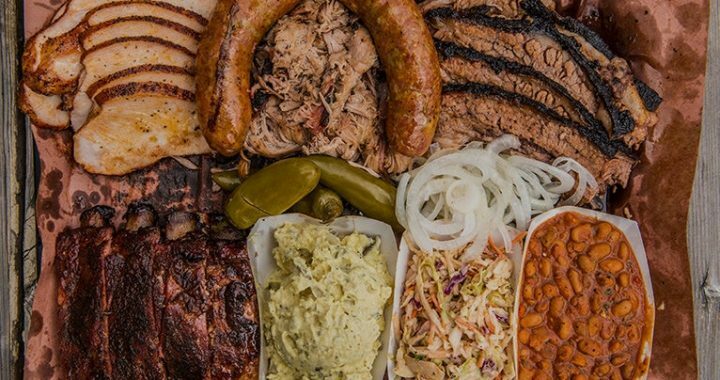 Well most Kansas City residents love to use different types of meat, including pulled pork, pork ribs, burnt ends, smoked sausage, beef brisket, beef ribs, smoked/grilled chicken, smoked turkey, and sometimes fish for barbequing. This variety of different meats is attributable to Kansas City’s history as a center for meat packing. Hickory is the primary wood used for smoking in Kansas City, while the sauces are typically tomato based with sweet, spicy, and tangy flavors. While all of the barbeque methods across the globe sound delicious I think we can all agree that the Kansas City method stands out by far. After all, what is better than the glorious taste and look of different picks of meat on your plate? This is definitely the most fun and yummy leisure or meal prep method for just about any occasion.